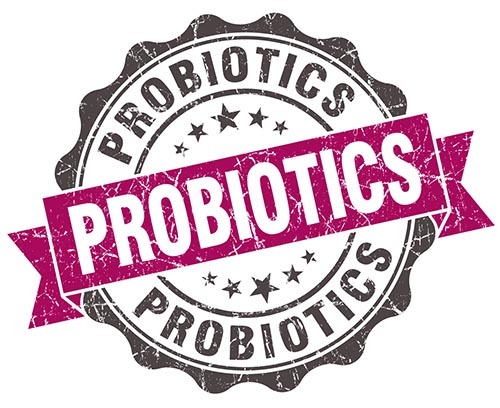 Probiotics – Good Summer Bugs! Although obesity remains one of our most pressing health problems today I’m hoping that for many Americans as the summer days unfold it may be an easier time to let go of some extra weight. In the heat, heavy foods just don’t seem quite as inviting as they were when it was cold outside. Moving around in humidity is much easier when you’re feeling lighter, and salads and light fruits are much more appealing in steamier weather. Fermented foods, which provide good bacteria known as probiotics become an excellent condiment with most any meal. Have you tried fermented salsa lately? As always, I’m on the lookout for any new information regarding those great bacteria called probiotics. In addition to being present in fermented foods, the probiotics that we carry around inside of us also seem to impact our tendencies to accumulate weight. I found something I’d like to share with you in this article. In my recent book Skinny Gut Diet we explored the different bacteria that have been researched thus far that play a part in whether we tend to be more fat or skinny. We actually tested our participants’ microbial ratios throughout our study and noticed that as the Bacteriodetes increased, their weight also decreased! That had also been the findings of many research studies and is mentioned in the article above. Fascinating! Additionally, when I interviewed Rob Knight formerly of the University of Colorado and currently with the University of California, San Diego, it was clear in his studies of the Human Microbiome Project that the greater diversity of bacteria that a person’s gut environment portrayed, the more likely that person was to be healthy and balanced over all. I look forward to sharing that segment along with many more fascinating interviews with you this fall. The upcoming show is called Natural Health Breakthroughs with Brenda Watson. Keep an eye out on your local Public Television Station. These type of studies are still in their infancy, and I’m certain much more will be learned about the actual benefits or health challenges that are directly associated with specific microbial species. Whether the research reflects obesity issues, cardiac challenges, or mental disorders, it will certainly be exciting! What I loved reading most was research that is currently going on in Puerto Rico under the guidance of Maria Gloria Domingues-Bello of N.Y.U. It was found in previous studies that when newborns travel down the birth canal, they ingest bacteria that help them digest milk. There is a lot of evidence that babies raised on formula as opposed to breast milk are much more likely to suffer from allergies, skin conditions and even digestive issues and obesity. Babies raised on formula simply do not receive critical substances in breast milk that promote good bacteria and retard the growth of bad bacteria. Dominguez-Bello’s new clinical trial will monitor the weight and overall health of babies born by cesarean section. These babies will be swabbed immediately with a cloth laced with the mother’s vaginal fluids and resident microbes as they come into the world. How interesting it will be to see the impact that Mom’s natural bacteria have as these children grow and develop. I love these studies on newborns, as they are most certainly our future. However, no less important to our world is helping you to understand healthy choices that will nourish the good bacteria in your own life! And it’s easy, especially in this season to enjoy large amounts of fresh veggies and fruits along with fantastic fermented goodies. Here’s my bonus gift for you today – one of my favorite recipes! And easy to make. Happy summer probiotics to you!